In an increasingly challenging market place, the competitive edge over your rivals will most likely come from improving efficiency and effectiveness in your processes. Watch the video here. I was wondering if anyone could tell me what HP Laser Jet printer you are using with the 530? I just purchased it and not sure what model to look for. Advise this member. I would like to know which would be the size of the latex particles from the Potential standard DTS 1235? Advise this member. Kindly guide me on how I can install EDL lamp in AANALYST 300. Advise this member. 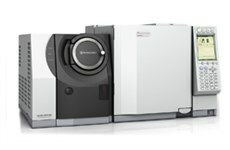 The Shimadzu single quadrupole GCMS-QP2020 gas chromatograph-mass spectrometer offers the highest performance in its class. The GCMS-QP2020 utilizes patented Advanced Scanning Speed Protocol (ASSP™) technology, allowing high-speed scanning at 20,000 u/second without sensitivity loss or spectral distortion, and is ideally suited for fast-GC/MS and Comprehensive GC/MS (GC x GC/MS). The precision-designed quadrupole mass filter is able to obtain accurate mass assignments across the entire mass range, and is equipped with a pre-filter to reduce the influence of contamination on the main filter. Read more about the new GCMS-QP2020 on the Shimadzu website. The flash point test can be summarized as a procedure in which a test specimen is introduced into a temperature-controlled test cup and an ignition source is applied to the vapors produced by the test specimen. The aim of the test is to determine whether the vapor/air mixture is flammable or at what temperature the vapor/air mixture is flammable. Click here to read more from Anton Paar. With rugged construction and advanced temperature control, the product family includes on and off automatic timers for efficient work scheduling. In addition, audible alarms help protect samples by alerting users to temperatures exceeding the defined range, and the icon-based graphical user interface has four preset options for easy navigation and use. Read more. Shimadzu Scientific Instruments (SSI) announces the release of its new GCMS-QP2020 high-sensitivity gas chromatograph mass spectrometer. The instrument features a proprietary multi-function ion source, patented high-speed scan control, and a new ultra-fast turbomolecular pump (TMP). Read more. INTEGRA reports on how researchers at the Health Innovation Research Institute at RMIT University (Bundoora, Australia) are using VIAFLO II electronic pipettes in conjunction with a VIAFLO ASSIST to scale-up their screening of venoms and small compounds. Read more. At GFS, chemists and technicians can connect to a single company with manufacturing resources in all key areas of chemistry. Customers rely on them for their problem solving ability. Their proven technologies, technical expertise, engineering excellence and attention to detail allow them to work hand-in-hand with their customers every step of the way – from start-up to commercialization. Is there a way to adjust the default setting for all tube sizes and volume? I've found that sometimes I am prompted to enter in the tube/fill. volume after selecting a program (CNTRL/TUBE) and sometimes the program starts running without asking anything. Would I be able to make sure all my programs have this command at the end? Advise this member. In the user manual under preventative maintenance it mentions removing the filter block for cleaning and that they are access by opening the hinged front flap, however I can not see a filter block as photographed in the manual could it be that our one does not have this filter block mentioned? Advise this member. My TC10 won't focus and makes a terrible grinding noise when I turn it on. Has anyone had a similar problem? Advise this member.